The Christian employee should be the most desirable and productive employee there is! 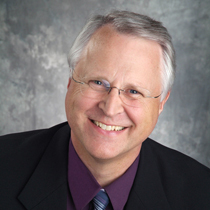 Dr. Randy Carlson shares 10 practical ideas for the work place. As Christ-followers, you and I should be the most productive, cooperative, honest and hard-working people in our business. The Christian, as an employee, should be the most desirable and productive employee around. Go the Extra Mile Every Day! Do more than you’re asked and with excellence – ahead of time. Be a Noticer! Look for One Thing today that would make your business more successful and profitable and then act! Have a Great Attitude! If your attitude is to look out for the well-being of the boss and the business, then you usually get noticed by the boss and your boss’s boss. Great attitudes rise to the surface. Sharpen Your Skills! Keep up with technological advances, and keep your work skills up to date. Be a Solution-Focused Employee! Your boss doesn’t need inspectors – he or she needs problem-solvers. Pray for Your Boss and Co-Workers Every Day! Prayer changes hearts—theirs and yours! Share the Credit! Stealing credit for an idea or work product that wasn’t truly yours alone will cost you. And it will cost you in ways you didn’t anticipate. Work Yourself Out of a Job! Produce exceptional work and products, so much so that your company would be foolish not to elevate your responsibilities.